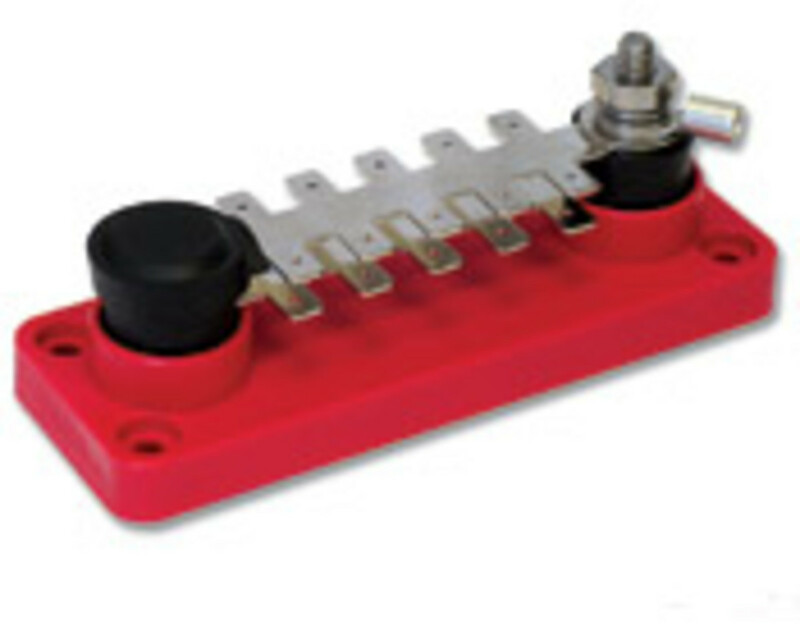 VTE Inc. has introduced a new busbar design with push-on connections. Busbars are a vital part of any electrical system, but traditional units can be difficult to mount. With a heavy-duty, GF nylon base and 1/4-inch stainless-steel connection posts, the Tab-Type Busbar is ideal for electrical power distribution and grounding applications. Each connection point is rated up to 20 amps at 12 volts DC with a maximum load of 120 amps for the busbar. It accepts 1/4-inch push-on, blade-receptacle-type terminals, also known as quick disconnect. VTE made the stainless connection posts thicker to make sure the connections remain intact, says Van Tielen. “It has a 16-pound holding force, which is 7 more pounds than the standard,” he says. To comply with ISO (International Organization for Standardization) and ABYC standards, an optional tab-type busbar protective insulator kit also is available. 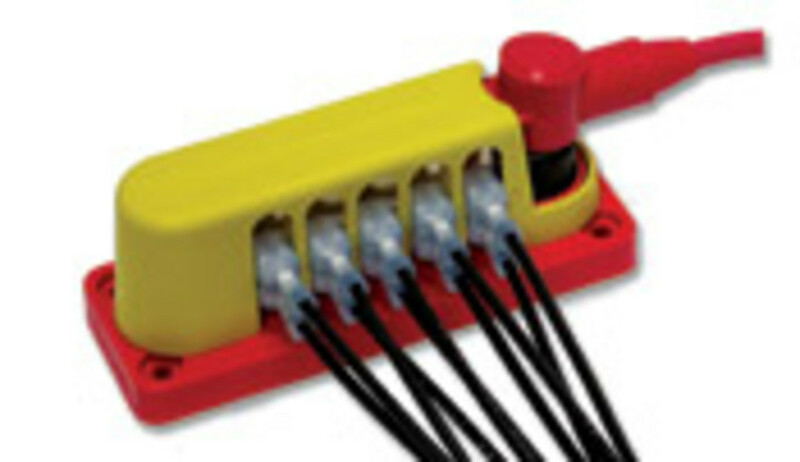 Offered in red, black and yellow, the kit includes a protective cover, as well as 8-2 and 18-10 gauge terminal insulators. The Tab-Type Busbar has suggested retail prices starting at $17.51. For quantities of 100-249, the prices start at $6.37 each. The optional kit is about $3. Contact: VTE Inc., Pellston, Mich., (800) 527-9256, sales@vteworld.com, www.vteworld.com.